I recently got sent a BuchuLife pack dropped off with me. There are so many wonders to having a good yoga mat. 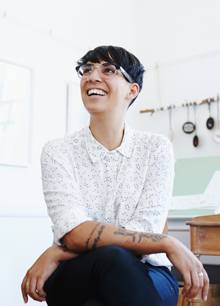 Yesterday, in our Jivamukti class at Air Atelier, Jill spoke about what it means to be a Yogi. She came to the conclusion that a Yogi is one who connects. "Yoga is sanskrit for “yoke” or “union”, generally meant with regard to the self or the divine." So, we connected with our mat. BuchuLife produce a range of delicious, flavoured sparkling waters. These are different from other brands, not only because of the Buchu leaf extract (which has such a beautiful distinct taste), but they are sugar-free and organic! I thought I wouldn't like the water, as I don't like flavoured waters in general, however, I was pleasantly surprised how much I loved these! I really feel like I'm doing something good and healthy when I drink the waters. I like to call them champagne waters. It's the most refreshing relief after a challenging yoga class. The blackcurrant flavour is fantastic. 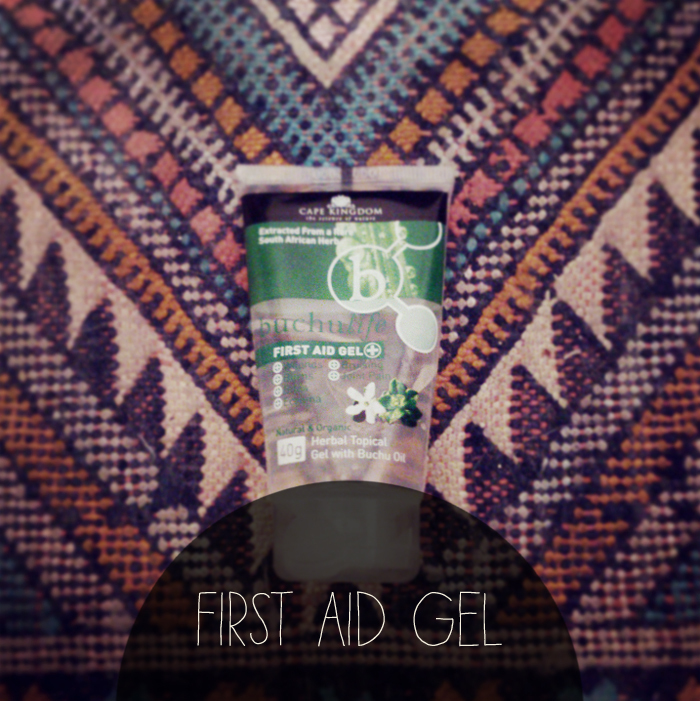 The First Aid Gel. I'm a little bit accident prone and I'm almost permanently walking into stuff. It doesn't help that I bruise really easily. 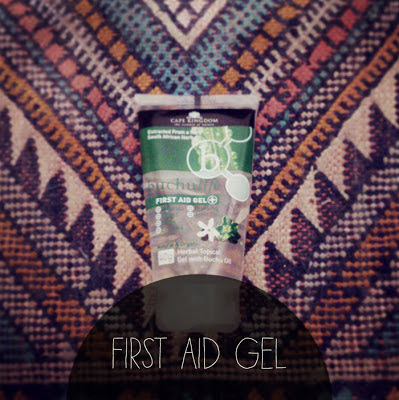 I've been putting this First Aid Gel on everything! Dry spots on my skin as it's great for eczema, I have a "dodgy" hip, so I've been putting it on there before and after yoga too. I rubbed a whole sachet of it over my foot yesterday after I wedged my foot in between two rocks whilst coming down a mountain a couple of weeks ago, not sure why I didn't rub it at the time? Anyhow, my foot feels much better today! I'm convinced this is a miracle gel for more or less everything. The gel can be used for the following: Wounds, bruising, burns, joint pain, bites and eczema! I was also given a box of the UTI relief capsules. I haven't suffered from a UTI in a while, but I'm grateful to have something on hand if it strikes again. I took a couple of the capsules anyway as they contain 10mg of Buchu Oil and 365 Flaxseed Oil which sounded good to me. If this product is anything like the others, I'm sure it will do wonders for UTI relief. 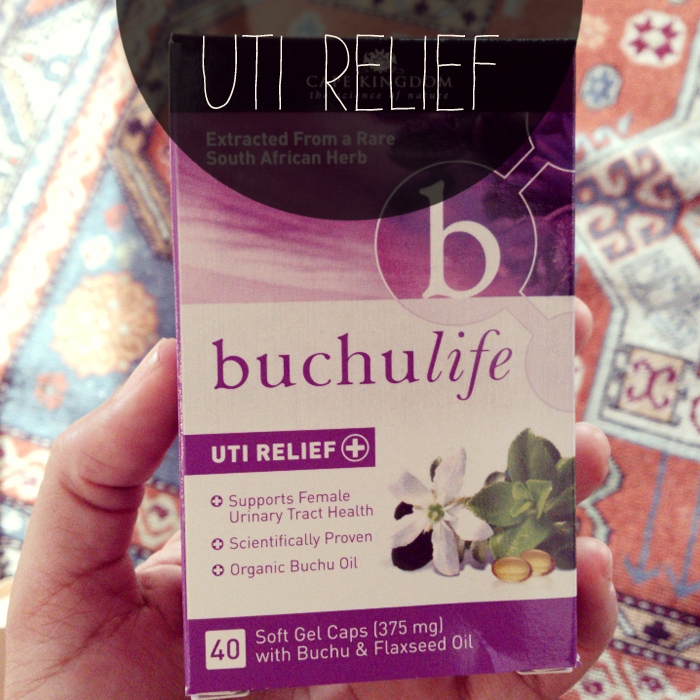 Find out where to buy BuchuLife products here. Wellness Warehouse stocks all BuchuLife products if you're interested in all of them. 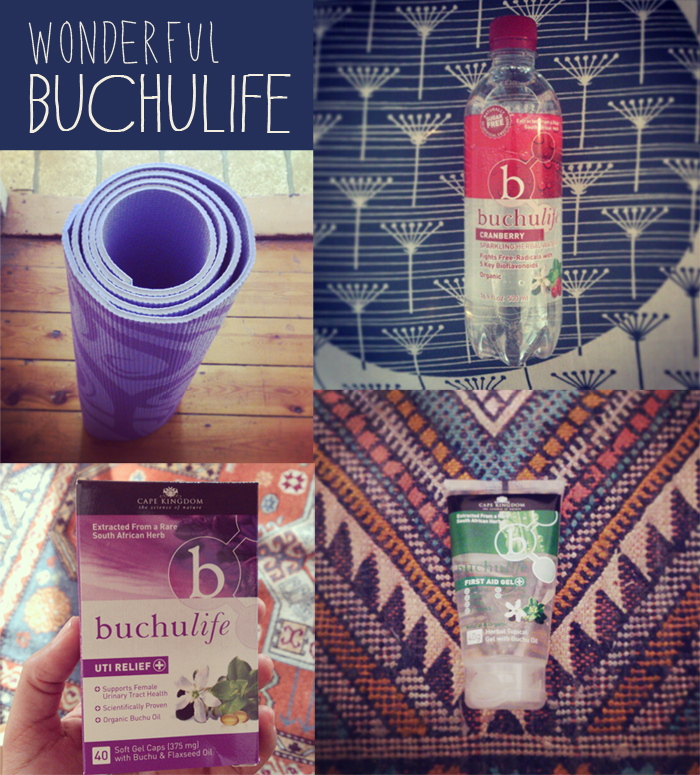 Thank you to BuchuLife who have opened me up to all their fantastic products and getting me addicted to their sparkling waters!